Ch Shanlimore Midnight Cowboy "Bradley"
Ch Shanlimore Midnight Cowboy, "Bradley" was home bred by Christine Edwards. He was a truly magnificent dog, having achieved "Best of Breed" at Crufts 2001/03/04/06 and 2007, and Pastoral Group 4 & 3. Top CC winning Dog 2001/2002/2003/2004/2005 and 2006. He sired 22 "Champions" in the UK and abroad, many CC and Reserve CC winners. Veterans Stakes.... Res;BVIS @ Working&Pastoral 2007--Res;BVIS @ WELKS 2007--Res;BVIS @ LEEDS 2006--Res;BVIS @ Bournemouth 2006--BVIS @ Midland Counties,working and pastoral--BVIS @ Working&Pastoral 2004. His Sire: Lydaub Superior. His Dam: Champion Shanlimore Karousel. 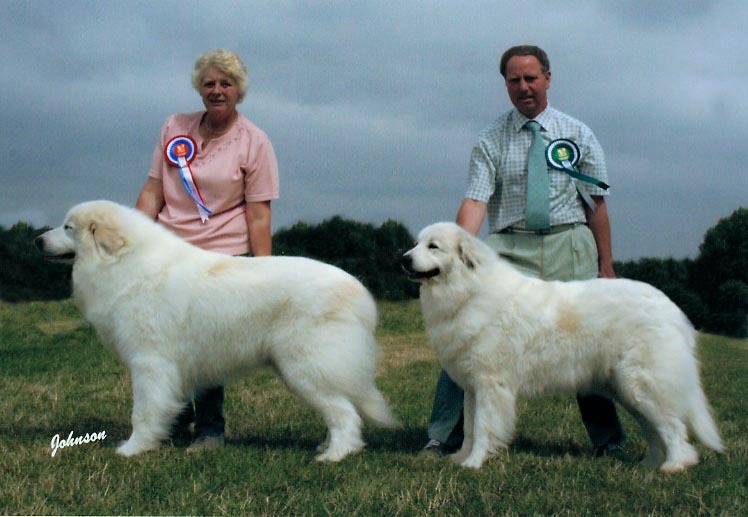 Out of this litter from Karousel, 4 Champions were produced Ch Shanlimore Midnight Cowboy, Ch Shanlimore Mystique, Ch Shanlimore Marie, Ch Shanlimore Merry Maid of Kricarno, a record of 4 UK Champions from one litter.Bradley also sired 4 Champions from the same litter.